As a big fan of Arkham Horror, the successful board game by Fantasy Flight Games, I had looked forward to reading this book with great anticipation. Like many other media transitions (like books made from movies and vice-versa), Ghouls of the Miskatonic falls short of my expectations. The story centers around Miskatonic University, in the fictional New England town of Arkham. The main characters are Amanda, a University student troubled by horrific dreams; Rita, a felow student and Amanda’s roommate; Oliver Grayson, a ridiculed professor; Rex Murphy, a reporter investigating the grisly murders on campus; Finn, an Irish gangster; and Gabriel Stone, a Pinkerton agent investigating the death of his daughter. With only so many pages to cover material and so many characters, there’s only so much background McNeill can flesh out. 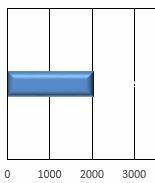 As a result the characters don’t have a lot of depth, but they do remain consistent. The characters feel a lot like board game characters, represented by a card listing attributes and a brief backstory. The story originally begins as an investigation, but eventually morphs into a rescue attempt, as some of the characters are kidnapped by Cthulu cultists. I really struggled through the book, as the story moves along sluggishly and bounces around from one character to another. The action finally begins to pick up at the end of the book, but here is where the story falls apart completely. At the end of the book a rescue is attempted, in which some characters confront the cultists in a University frat house. Inexplicably, a minor character locked in a mental hospital outside of town calls down fire from the sky, at the behest of the very god the cultists serve, and the fire only hits the frat house. In other words, this god destroys his worshipers, instead of empowering them to open a portal to bring the god through to this world where it can rule supreme. It makes absolutely no sense and completely ruined the story for me. Maybe things are explained in the next book, but I have no desire to pursue this further. McNeill does the best job he can with what he’s given – I imagine he was required to follow certain guidelines when writing. 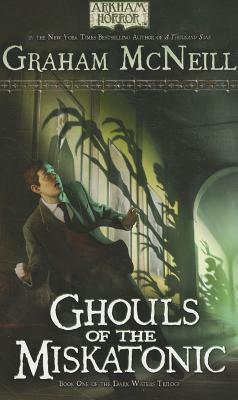 Of the two Arkham Horror books I’ve read, Ghouls of the Miskatonic is superior, with McNeill’s writing style easier to follow. Still, the story feels shallow – like a group of players sat down to play a board game and wrote a book about their game experience. It was probably foolish of me to expect more, considering the source material, but I’ve learned my lesson and won’t be picking up the sequel. Posted on June 2, 2012 January 10, 2018 by hippogriffPosted in Book ReviewTagged arkham horror, Graham McNeill, Reviews.